A difficulty that often arises for beginners is the nature of kata and the meaning of Aikido defense techniques. Kata is prearranged form, and most Aikido practice is kata. Practicing a kata with a partner means that there is an agreement about what the attack will be and what the defense will be. It means that the attacker has agreed in advance to "lose". However, the attack and the defense must still be sincere and effective. If either is empty form without sincere combat intent, the practice becomes worthless. It may become limp repetition or empty physical force, but it won't be Aikido. In sincere practice, two partners are trying to create together the physical and energetic experience of real harmonizing with an attack. In actual combat, the attacker will certainly be sincere, but s/he will actively try to prevent that harmonizing. In actual combat, the perceptive and Centered Aikidoist will harmonize with the attack, blend with it, lead it and defeat it. 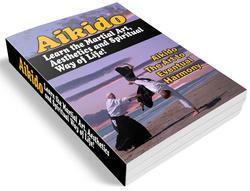 In combat, the Aikidoist supplies all the harmony for both people. In practice each person contributes half the harmony. A difficulty that often arises in practice is that of forgetting to focus on self-observation. Real Aikido practice focuses on development of a fullness of spirit and body and an awareness of harmony in movement. Correct practice focuses not simply on throwing the attacker but on observing and improving the details of one's own breathing, energy, and movement. People who are strong can often do good physical movements and make the defense techniques work and yet not be participating in true self-observation and inner work. Simply because a technique works effectively does not mean that it is good Aikido. The flip side of this problem is the experience of practicing sincerely and correctly yet finding that your technique won't get the attacker down. People often abandon Aiki at that point in favor of physical force simply because force "works". Just remember that correct practice will eventually produce effective defense techniques, but that may take time. 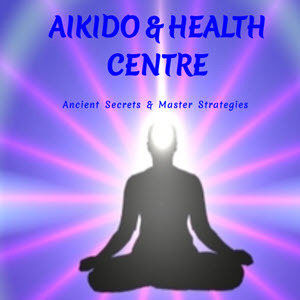 Physical force is simpler than Aiki, but much more limited. In the long run, it is better to practice a more Centered technique that doesn't work than to do a less Centered technique that "works". It takes time and practice to develop Aikido skill, and it takes lots of time and practice to develop enough skill so that one's defense techniques can be used effectively against someone who is bigger and stronger. It takes much more skill to perceive and harmonize with an attacker than it does to control her/him on the basis of size and strength.